Not sure you made any comments relevant to the article or any of the points I was covering. Looks more like you are trying to spin everything in a negative sense instead of engaging in the conversation in a productive manner. "why should the city get to sit back and provide nothing, but reap all the benefits?" I'm not trying to spin anything. I'm asking questions that I'm hoping you could answer. These are the questions a lot of us are thinking. These are the questions that have made the council meetings have a high resident turnout recently. – What needs clarified? You are suggesting that the city get pure profit by not contributing any financing are you not? Yes, that would be the optimal situation. But to a lot of us, it looks like greed because the city is already benefiting from the arrangement. You are risking killing a good thing. "As for your suggestion to slow down development"
– You said "basic question of whether the city is better off having these lots developed at a slower pace" … Am I reading that wrong? Slower pace = slow down development right? Higher sale prices certainly will make them sell slower. – Yes, the city is responsible for the debt. But DEC is paying for it now. So, the city would have to resume paying for it if DEC leaves. That is a negative thing. Sorry, but your second objective certainly does look like revenge to me. You basically said you wanted to veto something to prove that you have the power to do it and educate the residents. You're bringing up random newspaper articles that are 2 years old. I think you need to let it go. There were some people who were out to get you. That is politics. You won. They failed to even get their recall on the ballot. You have nothing to prove to the residents. They already have your support as proven by that failure. You can't please everyone. It is hard enough to please 50%. I will start with your last counter point. "You basically said you wanted to veto something" If that is how you read it then why we see things differently is obvious. What I said was that I would allow it to go into effect without my signature and that the city charter tells us that after 10 days there is no difference whether I signed it or not. The point I was making was, when the newspaper writes "McMasters has also refused to sign legislation approved by city council" the response should be "so what". The irony of this article is that one of the reasons I considered not signing the legislation this week was because it would prove that your response should be "so what". Next you write "Yes, the city is responsible for the debt. But DEC is paying for it now. So, the city would have to resume paying for it if DEC leaves. That is a negative thing" If this logic works for you then the city should be paying everyone that pays taxes, otherwise they might leave and not pay their taxes that would be a negative thing. On the other hand, DEC bought the land knowing or should have known what the taxes and special assessments were on the property. If they can't or won't fulfill their obligations as land owners, one of the options is for the city to continue to supplement their development. That is not the only option. On the other hand, it has not been established that DEC can't or won't fulfill their obligations as a land owner, so I'm not sure why so many people present it as a fact that they wouldn't. "Am I reading that wrong? Slower pace = slow down development right? " So this is a logical conclusion, however it should have been tempered by my assertion that I don't believe this developer will have trouble selling lots if the cost were $9000 more. So if it turns out they sell 90 lots instead of 100 that is slower but it saves the city $750,000 plus interest. You write ""why should the city get to sit back and provide nothing, but reap all the benefits?" at a time where council is deciding whether or not to spend $2.4 million dollars to put in water pumping stations by asking all city residents to pay higher water rates. The new water tower was how many millions of dollars that this TIF money could be used to pay? But we're not using TIF money to pay for that tower. We're using money from a fund that could have been used to provide city wide water softening. Did you know it costs over $120,000 to put in a stop light? Will the city eventually pay to connect the thoroughfare between Carriage Trails, Park Towne and Shull Road? Yes, and how will that be paid for if not the TIF money collected from the Carriage Trails TIF? It will be paid for using a fund with money in it that could be used to improve the roads in other parts of the city. I already told you I don't care what some newspaper wrote 2 years ago. Someone who didn't like you told the newspaper something and they printed it. They didn't provide anything to back up their statement. Shame on them. Those people (who fed that info to the paper) had an agenda to get you out of office and they failed. If DEC still has to continue paying the city debt even if they stop developing, I think you need to make that point clearer. Because a lot of people believe they can walk away without any burden. As for your claim about saving 750k + taxes… that is true for any up front costs… but that debt is ultimately paid by the owners and the special assessment we are paying correct? I'm not sure what you're trying to get at with your last point. 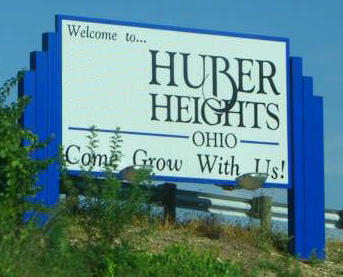 Whether the city should be spending money on north Huber Heights or south Huber Heights is just another debate to be had. I will only say though, again, that these TIF funds are ultimately paid back by the owners (who purchase in CT). There are things I don't know, so I won't get into that. Is there a TIF limit? Are you saying that we are using it all for CT and leaving nothing for other areas? If that is true, that is another point to be made by you. "If DEC still has to continue paying the city debt even if they stop developing, I think you need to make that point clearer. Because a lot of people believe they can walk away without any burden." If DEC were to stop paying their taxes it would work just like if any other property owner stopped paying their taxes. Eventually, DEC would lose their property (300 acres?) either in a Sheriffs' sale or to through the City's redevelopment program. I'm confident the points I've made in the other sentences are easily understood and will give you the benefit of the doubt that you are just getting punchy because of a long day and not purposely misdirecting the conversation because otherwise you'd have to concede.